The Scottish Housing Regulator has published a report on its use of statutory powers to intervene in a social landlord. The regulator’s account of its intervention in Muirhouse Housing Association follows its appointment in December 2014 of a manager to Muirhouse and three additional members to the governing body. The regulator said that its report highlights that intervention was necessary, because “Muirhouse was failing to meet regulatory standards and there was a serious and imminent risk to its solvency. Muirhouse could not address the issues it faced without intervention”. With the support of the appointed manager and officers on the board, Muirhouse dealt with the immediate risk of insolvency and began addressing the underlying weaknesses in its governance. The association has recognised the scale of failures and committed itself to a programme of major change. “We intervened only when it was clear that Muirhouse lacked the capacity and ability to comply with regulatory standards. This threatened the interests of tenants and service users, and it was appropriate and proportionate to deal with these matters through intervention. “Governance weaknesses led to our intervention, and improved governance enabled us to end our intervention. Muirhouse itself deserves credit for recognising the profound changes that had to be made and then working through these with the statutory appointees. It is also due to the commitment of the statutory appointees that these issues were resolved within eighteen months. “We have worked diligently with the regulator since intervention and completed a substantial programme of improvement that ensured the lessons to be learned from this experience have been enacted and embedded in our Organisation. This has been acknowledged by the regulator itself. 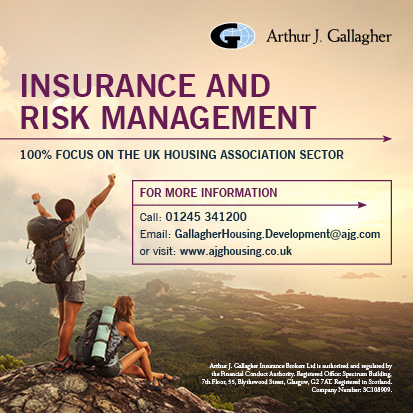 “Throughout this period of challenging change, we have maintained our track record of excellent service and business performance that retains our place amongst the top performing Housing Organisations. “The benefits brought via the intervention, combined with our strong financial and business performance, will help ensure that as we enter our 25th anniversary year we have a secure and bright future ahead. “This report shows the staff and committee at Muirhouse have been able to work through the problems of the association and emerge as a strong, viable, independent organisation serving its tenants and other local residents long into the future. The appointment of the statutory manager ended in December 2015 and the appointments to the governing body ended in June 2016. You can read the report on the Regulator’s website.